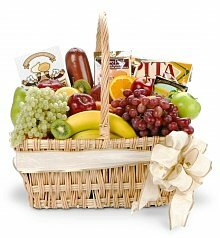 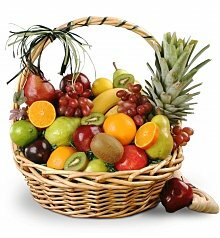 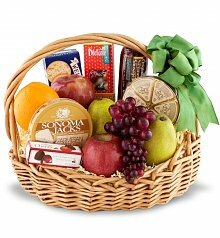 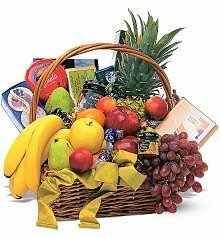 Fruit Baskets that can be delivered within 24 hours, Monday through Saturday. 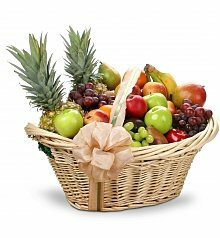 When my dad took a tumble on the golf course, the Doctor gave him some news he certainly didn't want to hear: he'd sprained his ankle, and would be laid up for two weeks! 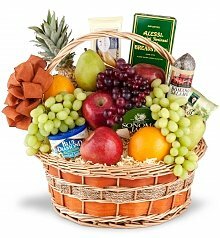 Dad had been preparing for a big charity golf tournament, and he was really disappointed that he'd have to miss it. 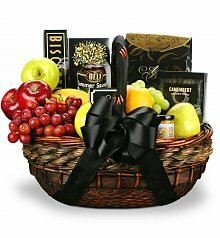 I wanted to send him a gift that showed him I was thinking of him, and something that would be big enough to last while he was healing. 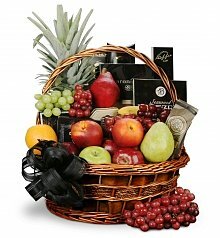 That's when I found GiftTree's fruit baskets! 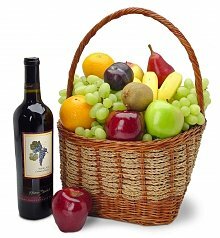 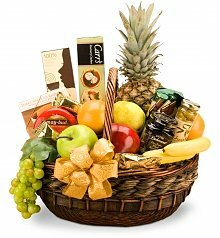 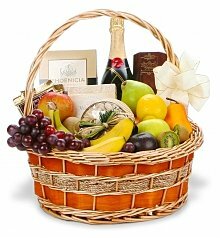 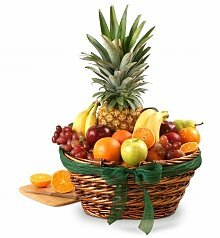 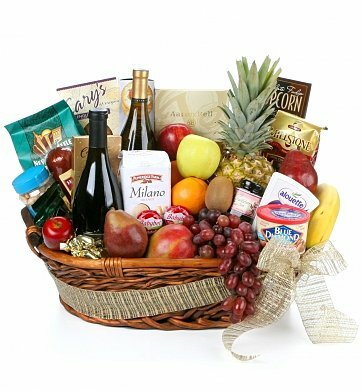 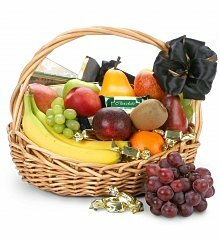 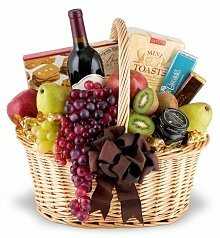 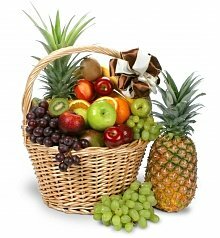 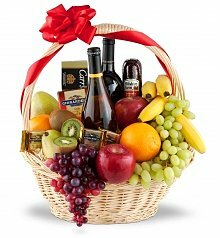 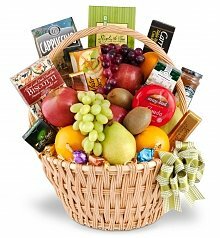 The Season's Bounty gift turned out to be perfect - a bountiful fruit basket overflowing with firm, fresh fruits of the season, like bananas, peaches, apples, grapes and even a pineapple. 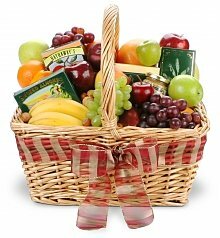 I was happy to send Dad a gift that is sweet, healthy, and encouraged a speedy recovery! 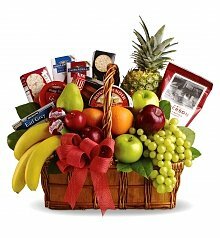 Whether it's a forgotten anniversary, a quick congratulations, or a fast thank you gift, GiftTree's last minute fruit gifts are perfect for turning a special occasion into a sweet one. 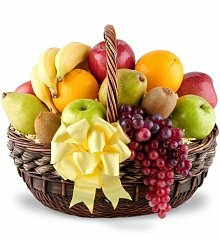 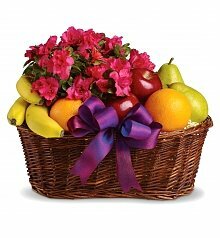 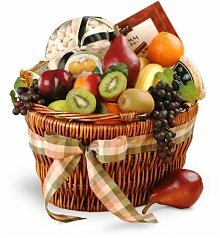 And if you need to send your condolences or sympathy, a fruit basket can provide comfort during a hard time, and let them know that you're thinking of them. 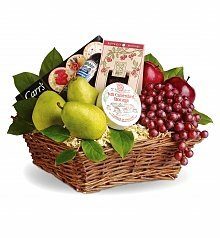 No matter the occasion, our experts are ready at the drop of a hat to create a beautiful, thoughtful gifts filled with sweets, treats and perfectly ripe fruit, all arranged in a keepsake container. 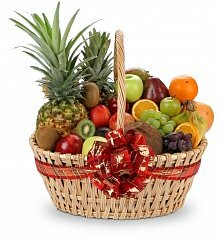 You can rest assured that your last minute fruit gift will be on time and made with the utmost care, filled with fresh produce of uncompromising quality. 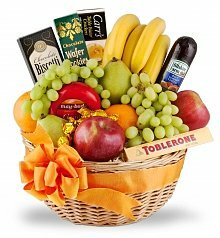 You'll look like a real hero when you have a thoughtful gift delivered that looks like it's been planned all along.